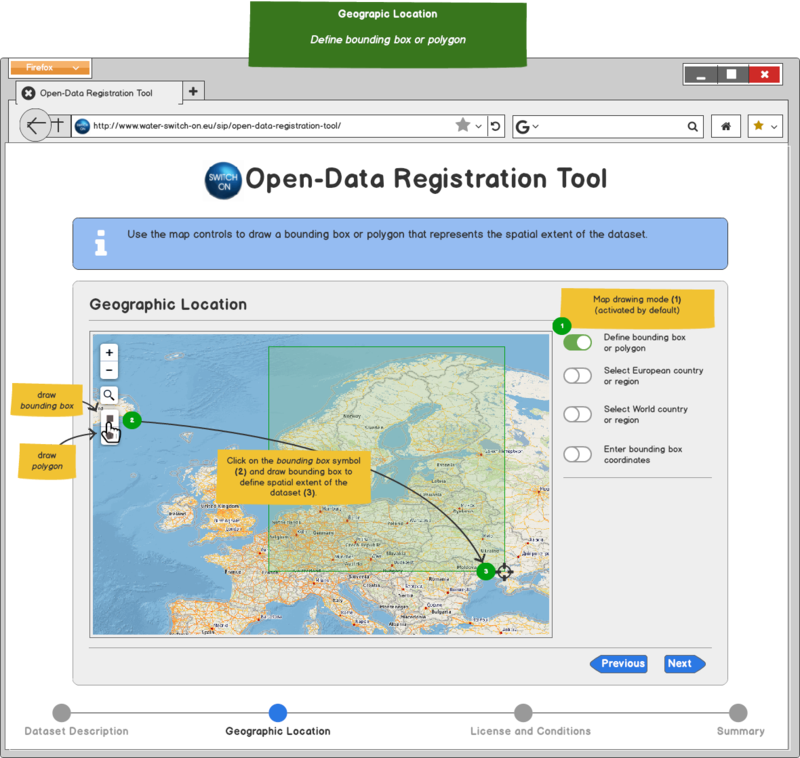 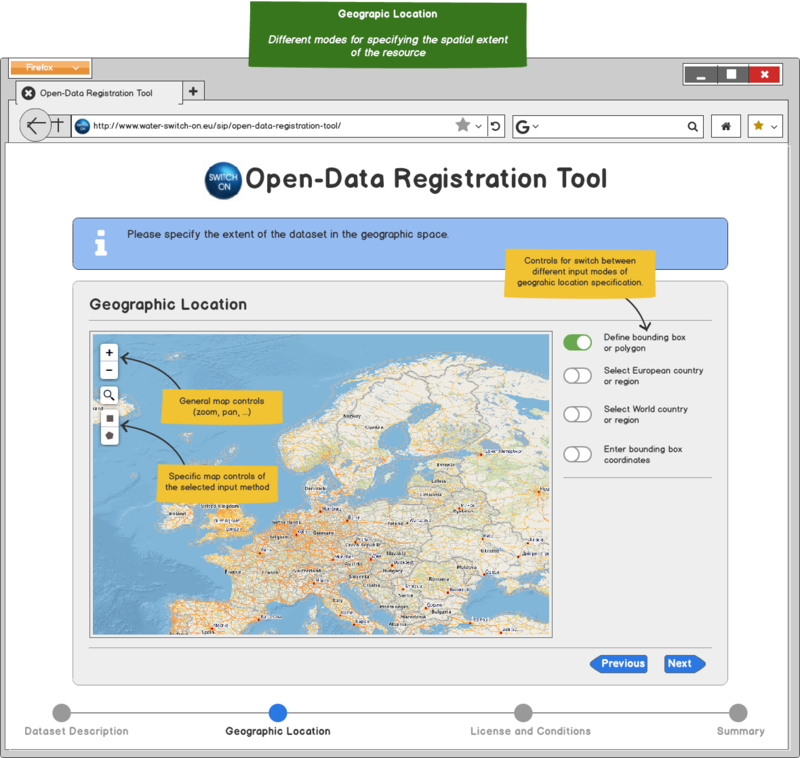 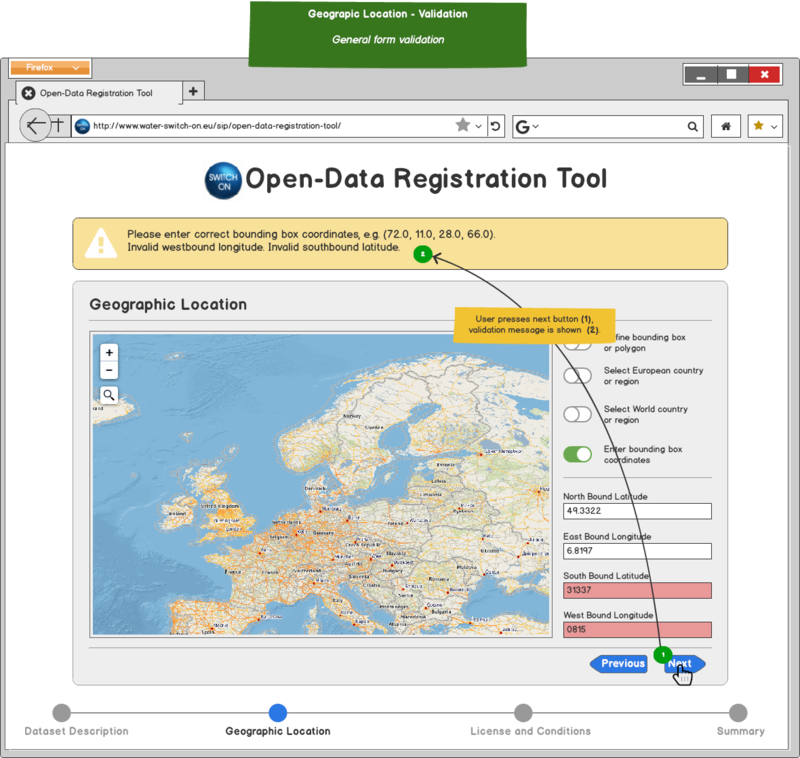 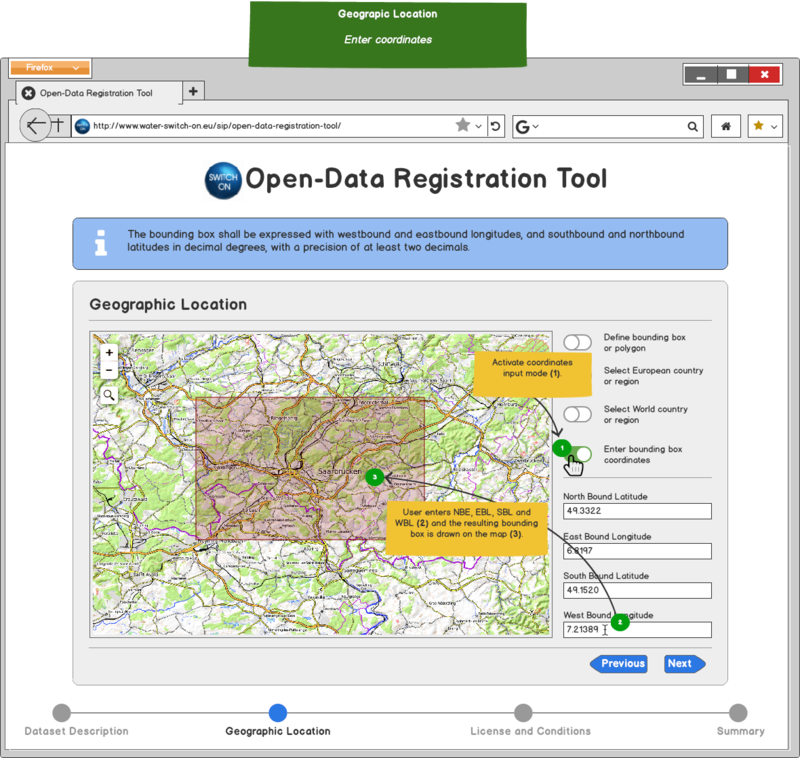 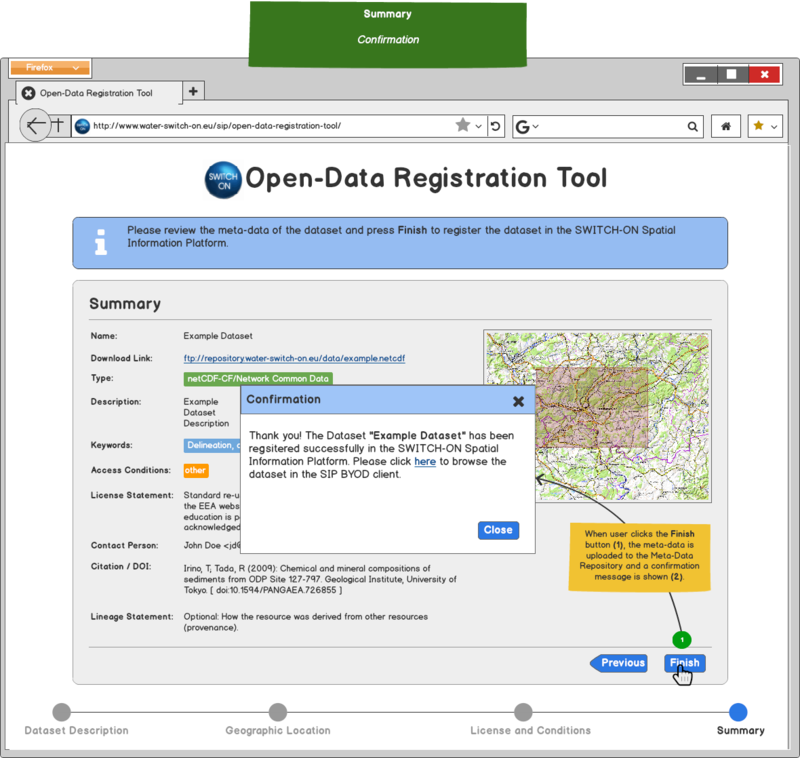 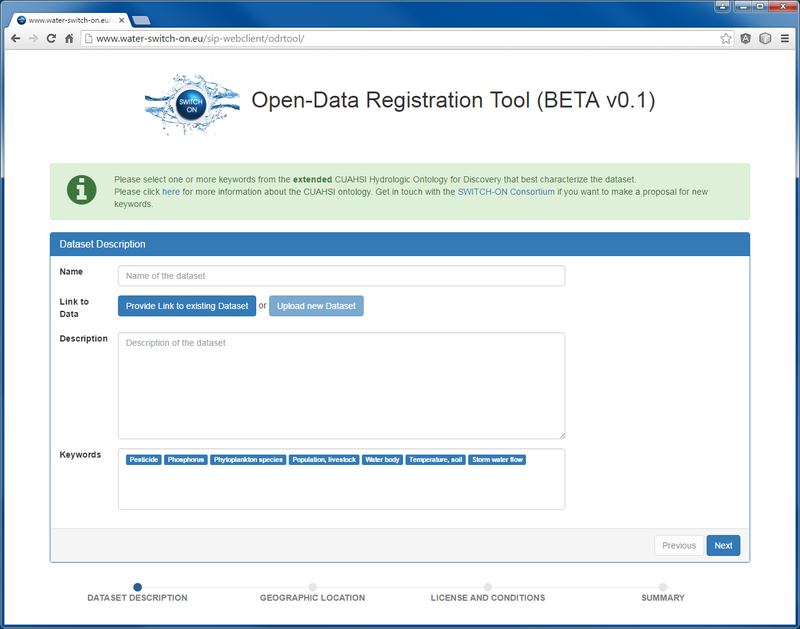 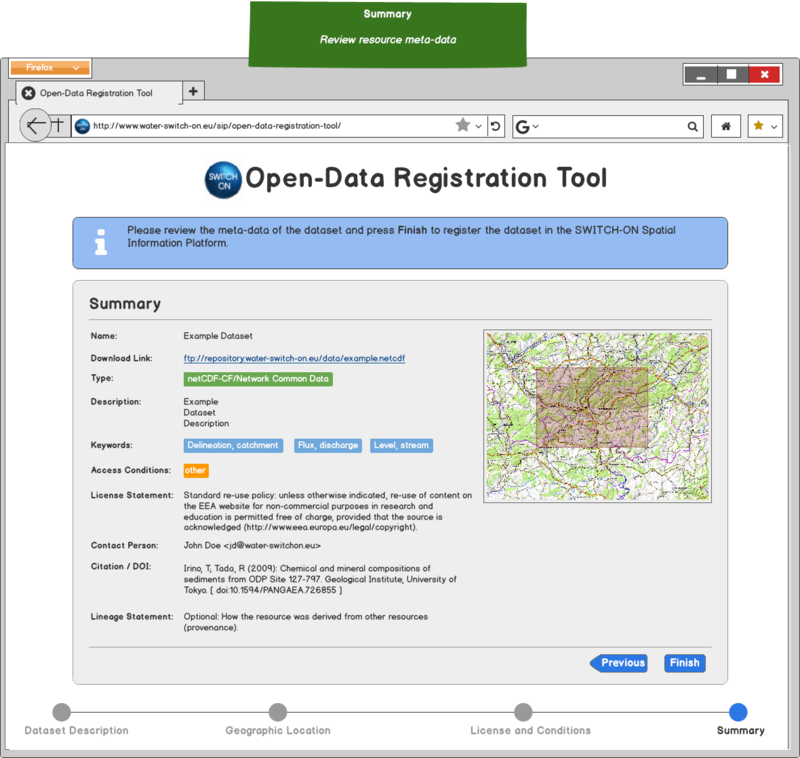 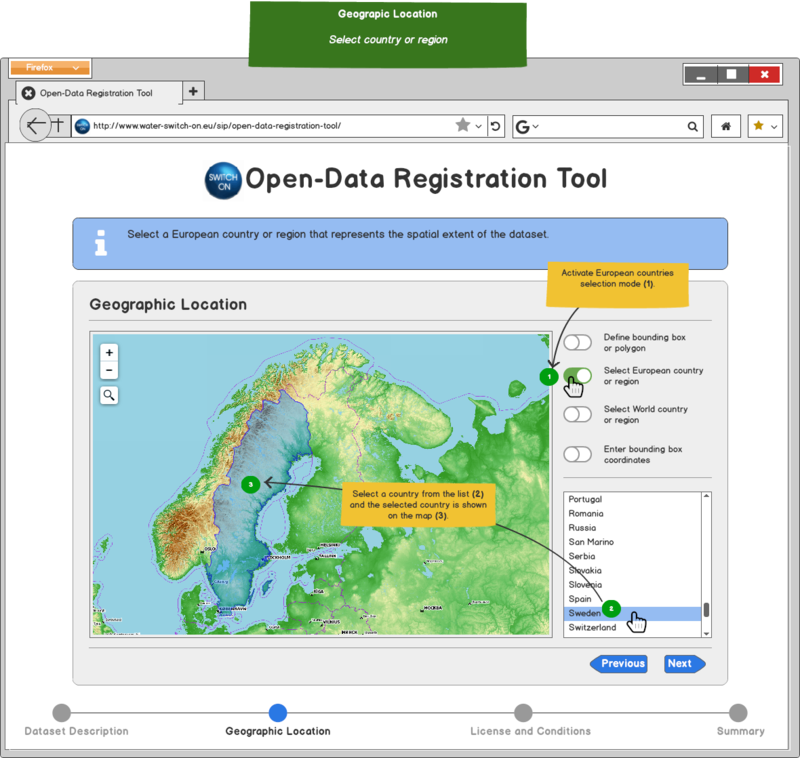 This is the Open Data Registration Tool of the Spatial Information Platform (SIP) of the SWITCH-ON EU FP7 collaborative project. 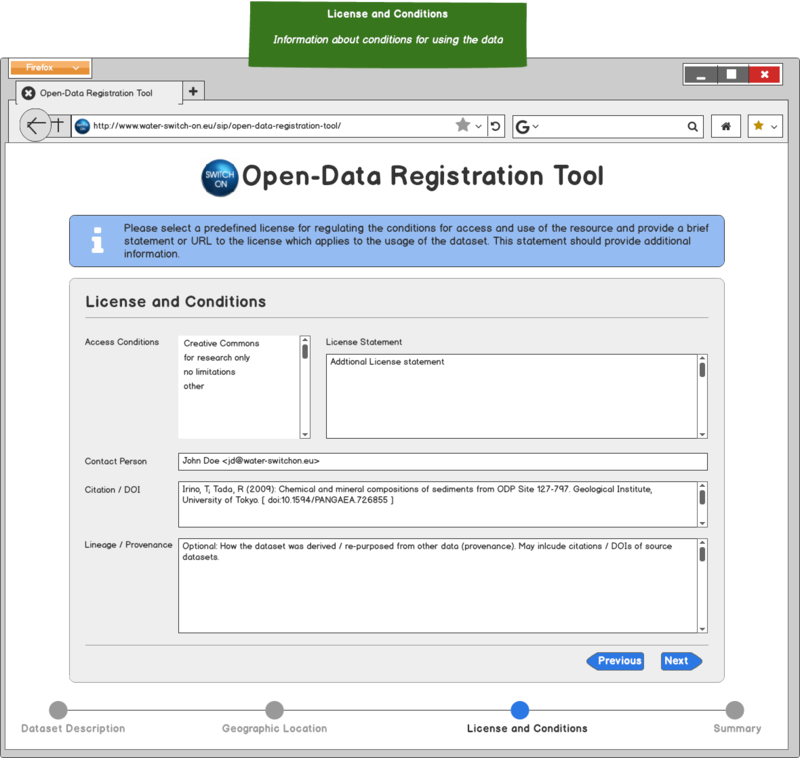 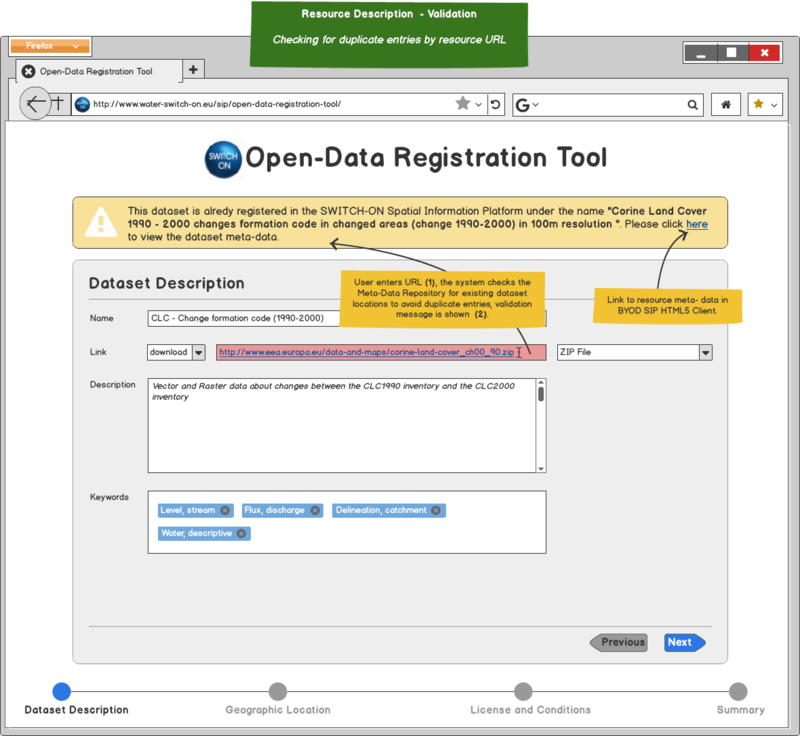 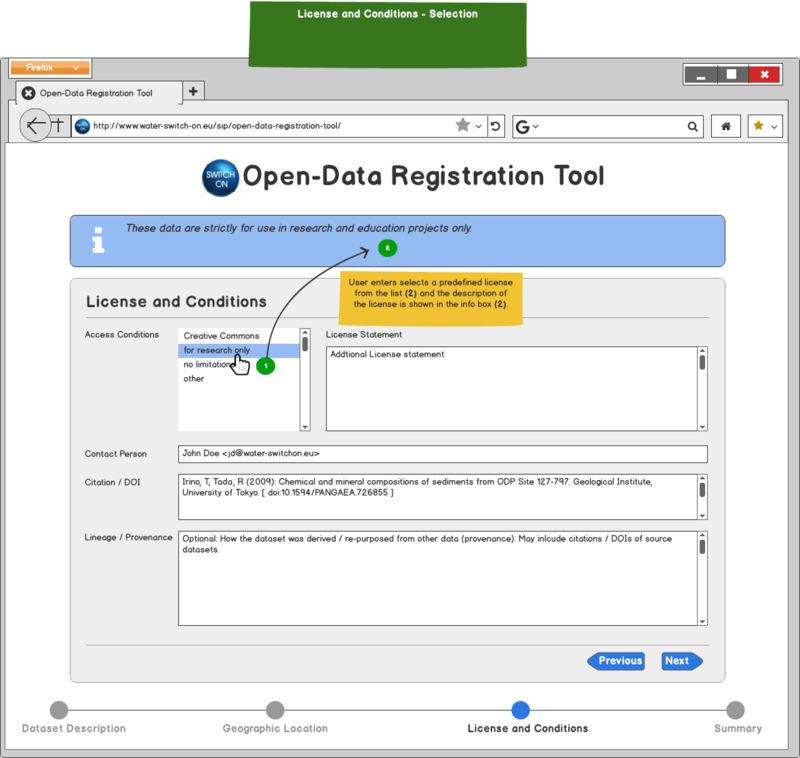 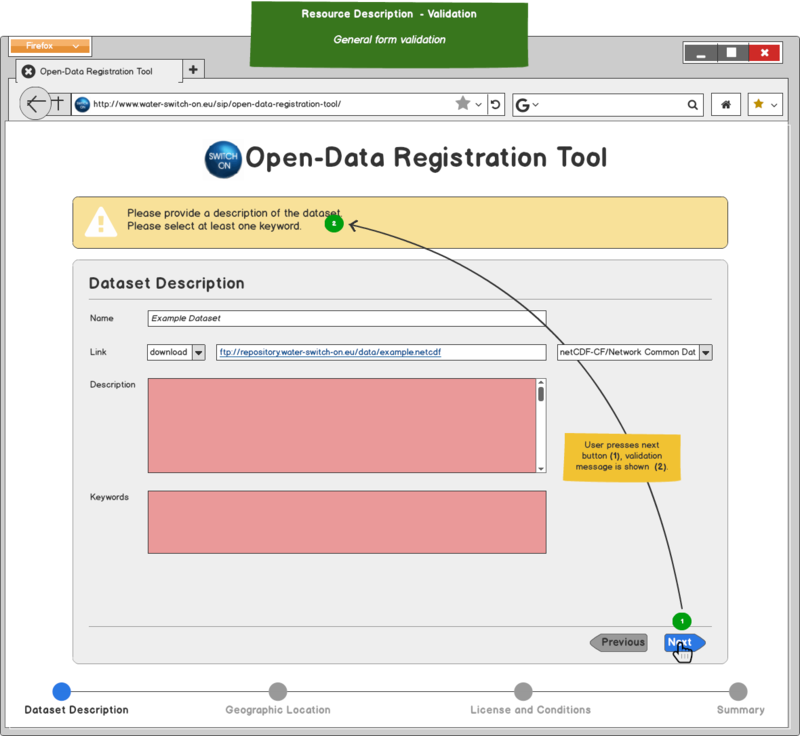 The web-based Open Data Registration Tool is a more user friendly alternative to the powerful Meta-Data Wizard. 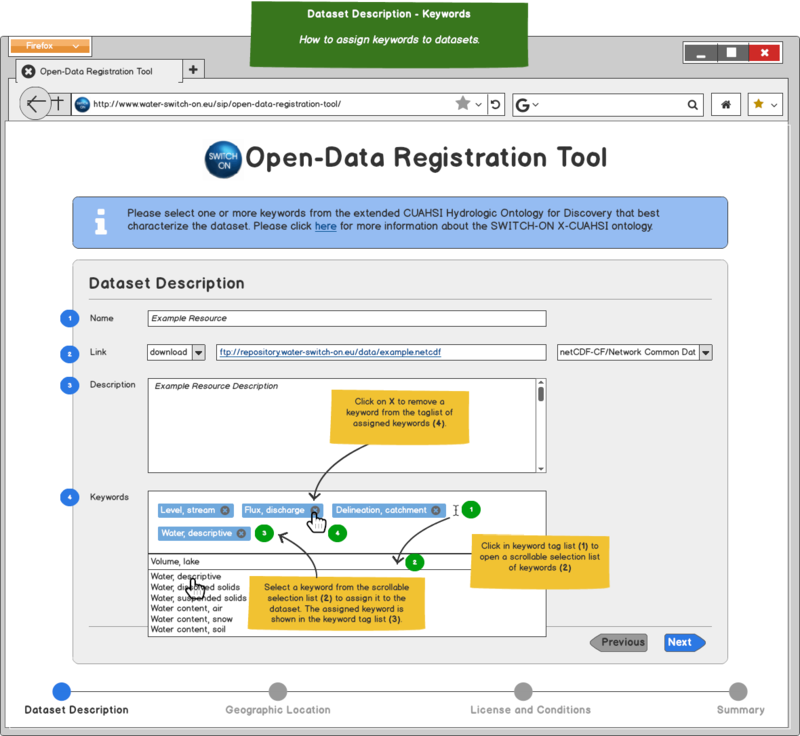 While the Meta-Data Wizard of the SIP Expert GUI supports the expert meta-data profile of SWITCHON's Standard Information Model for Meta-Data, the Open Data Registration Tool supports only the basic profile. 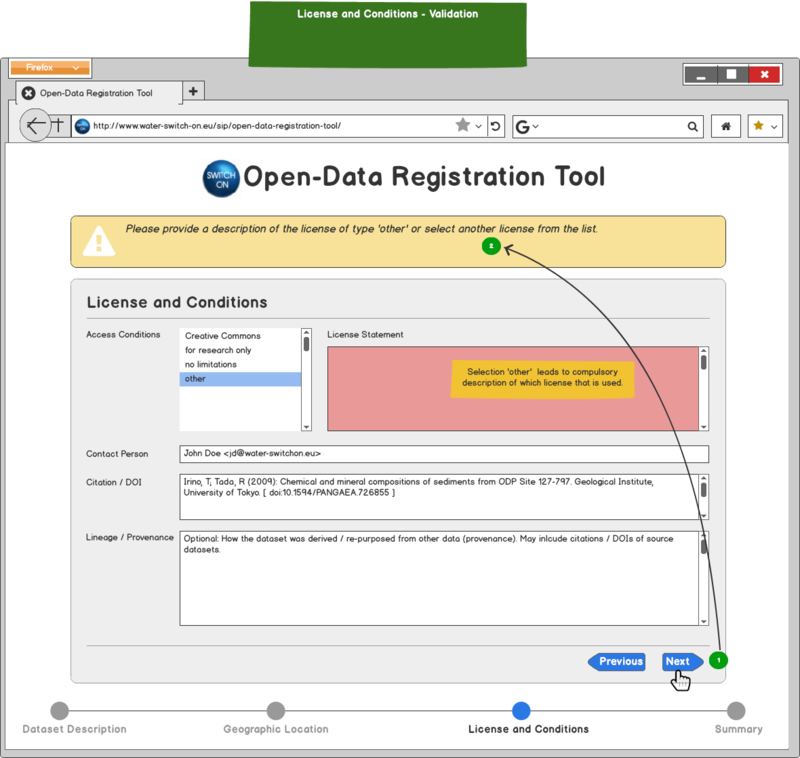 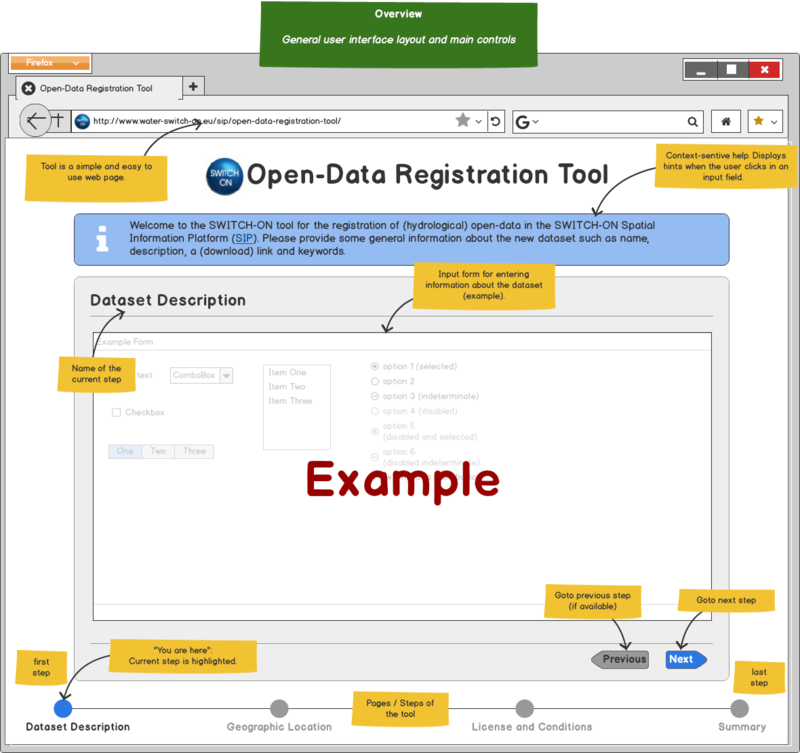 The following walkthrough is based on the mockups and user stories that were used as basis for the development of the Open Data Registration Tool. 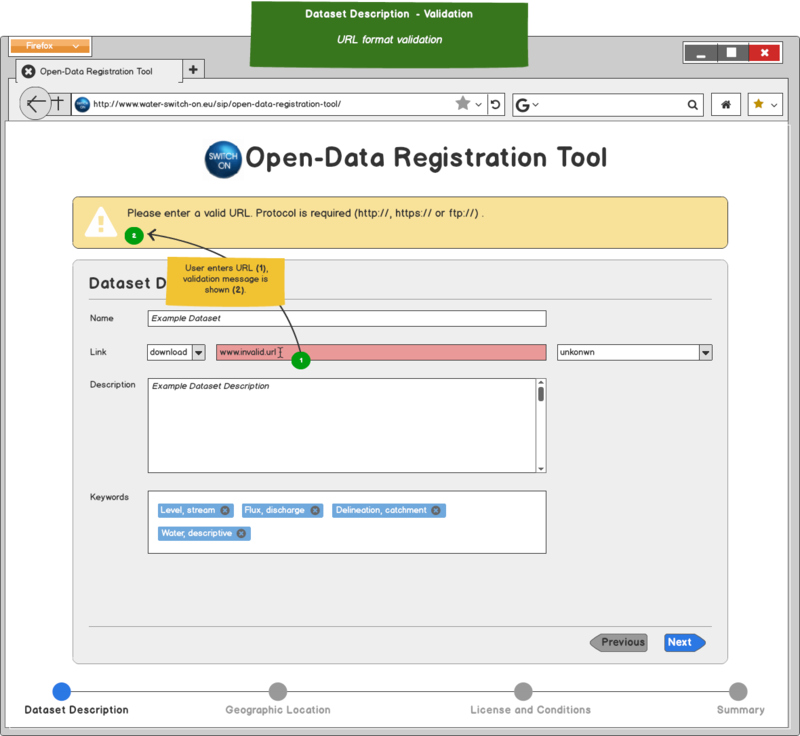 Please report any problems or bugs related to the SIP Expert Catalogue and Data Management GUI by using the GitHub Issue Tracker.